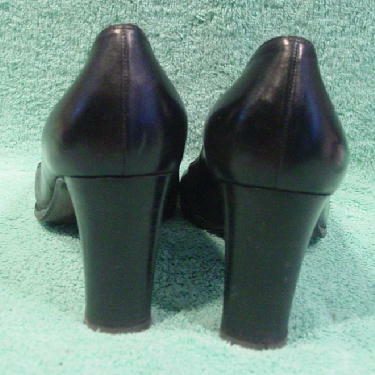 These black leather vintage Stuart Weitzman peak toe pumps have black wood stacked heels and leather soles. The peak toes have leather toe beds and there are black leather linings and insoles. The front of the shoes have three leaf shaped cutouts on each side. 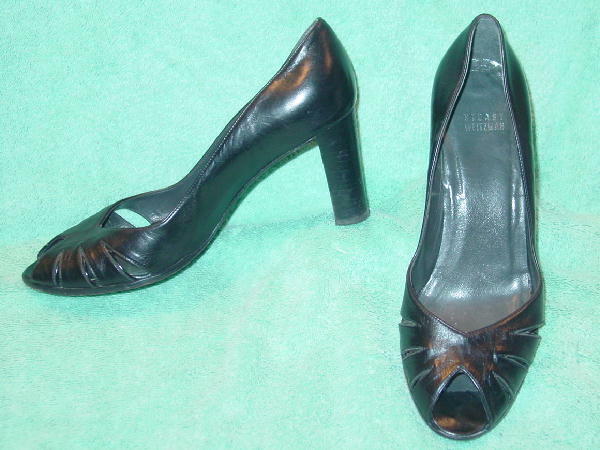 The leather is soft and the shoes have some weight to them because of the wooden heels and leather soles. The shoes and heels have some scuff marks. They're from a former German model.